We also take pride in your finished bouquet by placing them into a plastic bags which will give you the peace of mind knowing that your balloon bouquets will not be tangled on your journey home. Please choose from our helpful drop down menu how many balloons you would like in each bouquet and then choose from the bottom box how many you would like…simple! 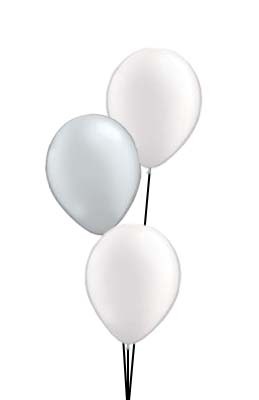 *These balloon bouquet will last 12-14 hours after inflating so they will need to be collected/delivered on the day of your event. Category: Plain Bouquets. Tags: Pale Blue, plain bouquets.